Rozy is a lovely slim-line wallet made with a beautiful metal clasp that gives it a sturdy, sophisticated feeling. 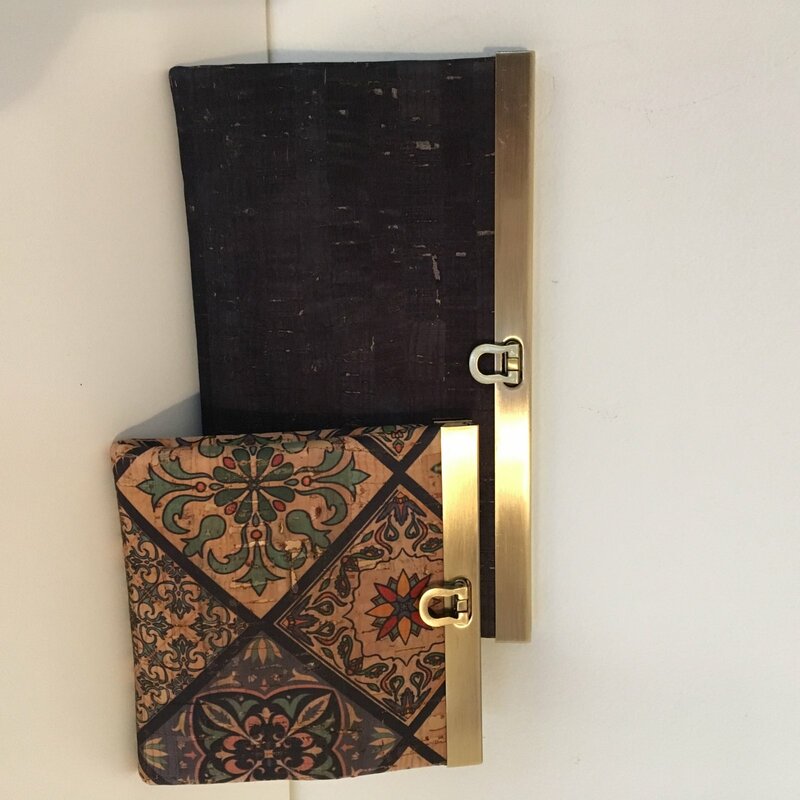 Bethany made hers with a cork exterior and a beautiful fabric lining. Choose the small or large version. Click here to download the supply list.